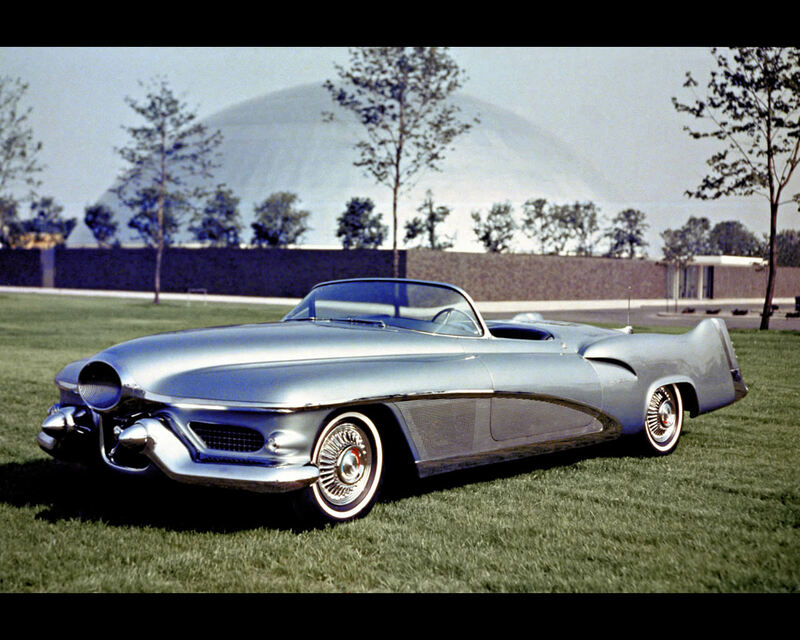 GM Le Sabre Concept was introduced at American Auro shows as “an experimental laboratory on wheels”. The concept was fitted with rain sensors that command the closing of the convertible top and windows. It had hydraulic jacks that allowed easy changing of the wheels. The engine was capable of running either on gasoline or alcohol. 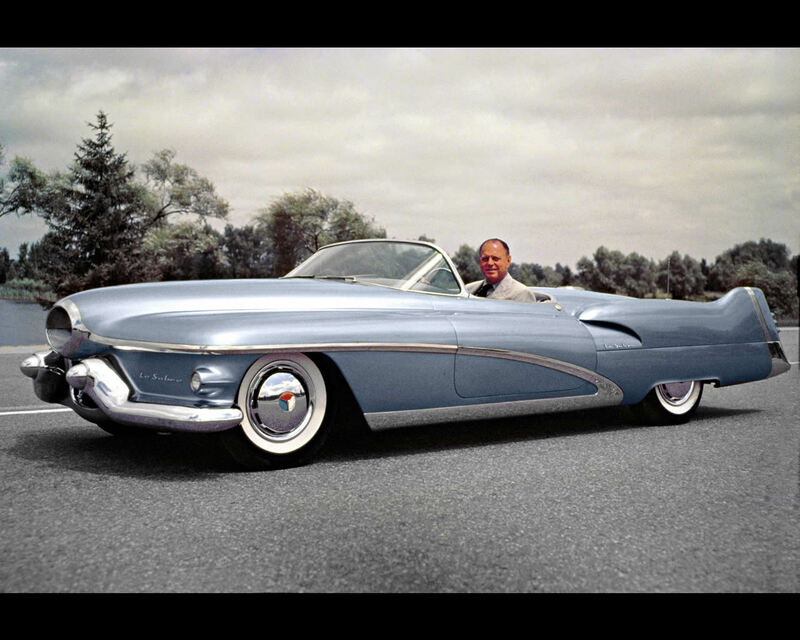 The Le Sabre is keystone in the history of American Car Styling ; it was designed by Harley Earl and introduced most of the aspects of styling features of American Classic Sedans of the 1950’s , such as rear fish fins, wrap around front and rear bumpers, widely curved body sides, large windscreen, suddenly changing the whole aspect of the American automobile.